The Magisterial House of the Sovereign Order of Saint John of Jerusalem, Knights of Malta, Federation of the Autonomous Priories (KMFAP) has the pleasure of informing its Knights and Dames that on the 30th August 2012 in Budapest H.G. 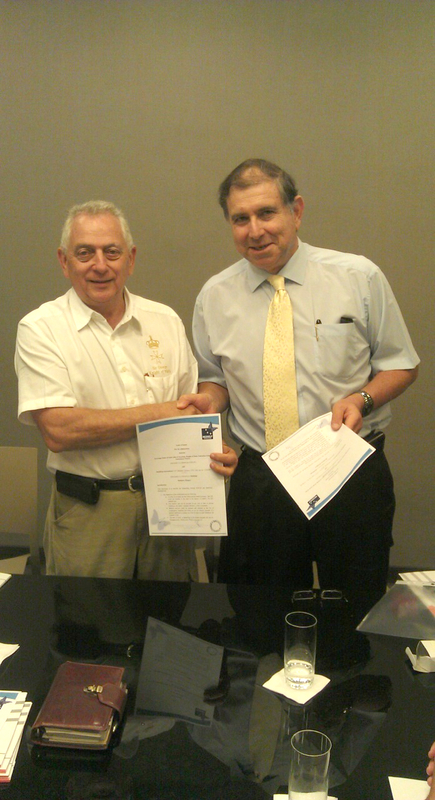 Prof. George Popper – Prime Minister of the Government of the State and Lieutenant General of our Sovereign Order signed – in representation of the Grand Master and Head of the State – a Letter of Intent of an agreement with MediHelp International, the insurance company, owned by our Knight Sir Zahal Levy. The Letter of Intent was signed with the objective of creating a special low cost worldwide health insurance policy for all the Knights and Dames of the Federation and their families. As this plan was specially conceived for the Federation (KMFAP) very soon each one of our Knights and Dames will be informed about the very advantageous conditions of this Health Insurance Plan and will be invited to join and subscribe the Insurance Policy.